- Merge doesn't just compare text files. Use image comparison to compare many different types of image file and instantly see which pixels have been modified. Binary comparison enables you to identify differences in data files at a byte level. - Merge Professional adds advanced three-way visual file comparison and merging to the Standard Edition's two-way visual file comparison and merging. This is particularly useful when more than one person is working on the same set of files. 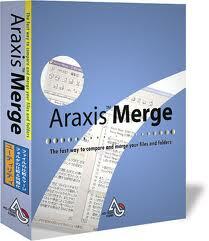 - Merge integrates with local Time Machine� volumes, so you can open any earlier revision of a file or folder. Open the same file or folder in both the left and right comparison panes, then use the Versions button to compare a file or folder with another revision of itself. - An FTP plugin gives Merge file and folder comparisons direct access to files located on an FTP server. It is therefore possible to use a folder comparison to synchronize a local copy of a website's content with the main site itself, provided the main site is running an FTP server.